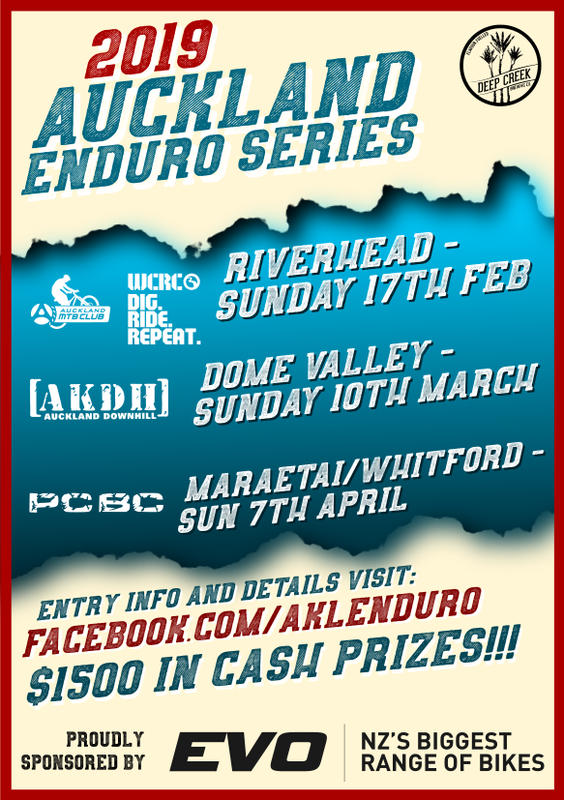 ← The Saint Cycles Riverhead Enduro is back! Our man on the ground at Waitawa Regional Park is the ever present Gabb. Having been involved in a lot of the process of trail design/build on this new Regional Park, Gabb and friends have continued work there including some hand-build work in the exciting Eucalyptus area. And now you have a chance to be part of the history of this developing MTB park! ​​8:30am Guided Ride on all the trails. Meet at the MTB Carpark (the one with the best views around!). If you haven’t done the Old School Party Groove downhill yet, best you come along!! 10:00am Working Bee begins (those not riding meet at the MTB carpark) – we will drop down to the shaded area of the Eucalyptus for the work. 12:00pm Lunch provided by the Auckland MTB Club (if you RSVP to us or Gabb –waitawa@freakystyley.co.nz or 0220 789539 – by 5pm Saturday 13th Feb). This will be at the Eucalyptus area and you can ride back up to your vehicle if need be (400m up the gravel road). 2:15pm Lay down tools, hit the beach, have a nice cold beer, provided by the Club and the good folks at Auckland Council Southern Regional Parks. A spade/trail tool if you have one, but plenty of tools will be provided by Club and our fine friend Waitawa Ranger Stan. Waitawa Regional Park, 40 minutes from central Auckland, 13km past Clevedon, just before descent to Kawakawa Bay – click here for Google Map location, see attached for specific locations. Please consider coming along even if you cannot work the full day – we really need to show the Council that we are willing to lend a hand in the development and on-going maintenance of the trails they are providing us to ride for free. If each of us attends just a few of these Working Bees each year, that will go a long way to ensure we get permission for trails in other parks around Auckland. If you attend three or more you will get automatic membership to the Auckland MTB Club for your efforts (stay tuned for upcoming Hunua MTB Working Bees)!